Medical malpractice cases are filed on a regular basis throughout the United States. But what types of cases are most common? It turns out that there are some areas of medical care that tend to produce more medical malpractice cases than others. For patients who go into the hospital for surgery, there is always the risk of a surgical team making a mistake. While it does not happen often enough for the average person to worry overmuch, it does happen – as evidenced by the fact that 1/3 of all medical malpractice cases are the result of surgical errors. These kind of mistakes are often the source of medical malpractice claims because they are considered preventable. With appropriate care and attention, and by following well-established hospital and medical procedures, it should be possible to avoid such mistakes. Other kinds of surgical mistakes are considered a possible outcome of any surgery, such as causing damage to nerves or organs. If the damage is the result of negligence, then a lawsuit is appropriate. But the majority of the time such damage is viewed as an unfortunate possibility due to the inherent nature of the surgery. It can be difficult to diagnose diseases and conditions, but there are some failures that are more dangerous than others. In medical malpractice cases, the most frequent conditions that are misdiagnosed include heart attacks and cancer. For children the most common medical malpractice cases related to diagnosis are meningitis. Taking the incorrect medication can be extremely dangerous, and can easily lead to injury, illness and sometimes death. Yet there are over a million injuries caused by errors involving medication each year. Approximately 1/5 of medical malpractice cases are related to injuries during childbirth. Mistakes made by doctors during childbirth can have lifelong effects on the child, which is why parents are so apt to file a lawsuit if their child is injured. However, childbirth injury cases can be difficult to win because many childbirth injuries can occur without any negligence on the part of the OBGYN. When a doctor or other medical care provider makes a mistake, it is not necessarily medical malpractice. Even the most highly trained professionals make mistakes from time to time, and doctors are no exception. But when the mistake causes an injury, and it was a mistake that resulted from negligence – failing to meet the standard of care that a similar professional would maintain in a similar situation – it may be considered malpractice. A medical malpractice case requires negligence to be viable. It is not enough for a doctor to do something incorrectly. The care provider must fail to meet the standard of care. That being said, there are plenty of times when malpractice is evident. In 2012 alone, there were $3 billion in payouts for medical malpractice cases in the U.S.
To pursue a successful medical malpractice case, having an expert medical witness is a necessity. It takes a skilled medical witness to effectively describe the nature of the injuries to the court – and an expert medical witness is the best equipped to explain how negligence contributed. An experienced medical witness is important for more than just the witness stand. Bringing your medical records and other documentation to a medical witness is necessary to determine if you have a strong case to begin with. Pursuing legal action without first discussing your case with an expert medical witness is never advisable. 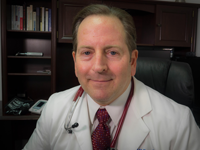 If you are considering a medical malpractice case, please contact Dr. Edward Mallory to discuss your situation. It is important to act now before the statute of limitations makes it impossible to pursue your case.